I hope you are all having a great week. Weekend is almost there, which means I can't wait Saturday morning to take a long deep sleep! 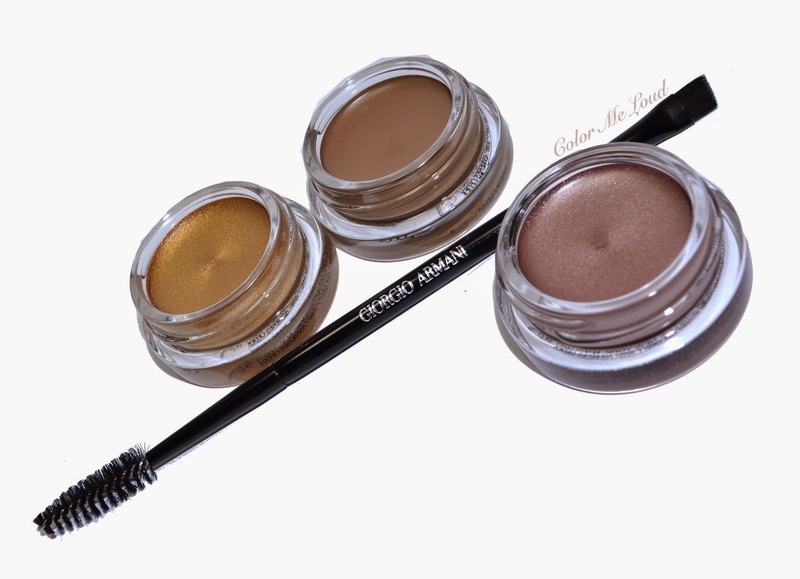 But before that, right on time for Friends & Family Sale in the States, I would like to share my thoughts about the new wonder product from Giorgio Armani, Eye & Brow Maestros. I am lucky enough to be able to skip the brow routine in the mornings since I have naturally full eye brows. As I get older though, I have recognized that they became rather sparse. The thickness is there, but with odd bold spots here and there. I find it easier to run a powder through them to get rid of these spots and until now my preferred shade was MAC Omega eye shadow. It doesn't last very long on me though, so I start the day with full brows and end up with sparsies. This is why I was very excited upon trying Armani's Eye & Brows. It has an interesting sticky formula, which applies very sheer and can be build up. The best thing about it is the longevity. It lasts and lasts. It is almost like a water proof formula, which doesn't come out with a micellar water like Bioderma's. You need a oil based remover for them. 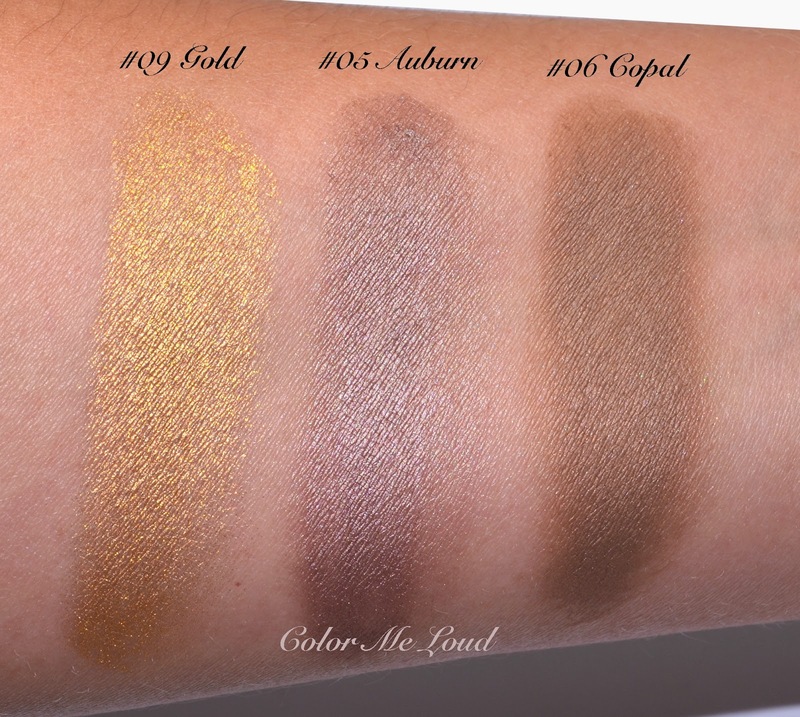 After swatching all of them at the counter, I decided to get #5 Auburn and #6 Copal first. 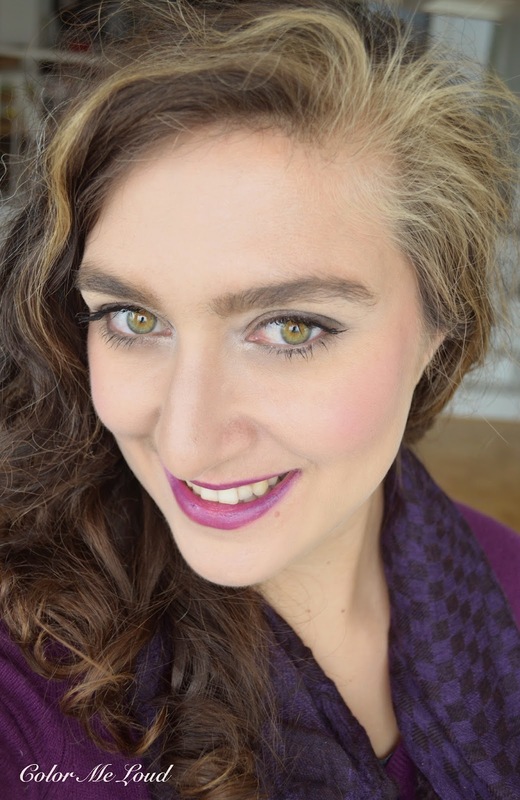 #6 Copal is a great ashy brown, which fits perfectly to my brow color. I have thought #5 Auburn would be a great everyday shade on the eyes for those days which one needs a swipe and go. It is a light taupe with a hint of rose shimmer. And yes, most of these shades have a little bit of shimmer which sounds like an odd thing for a brow product but once applied, they look very natural and not too flat. I then added #9 Gold and #2 Wedge Wood to my picks. Mostly because #9 Gold has the wonderful sheen without being too metallic or frosty and I didn't have something similar in my stash. Lastly I got #2 Wedge Wood because I have seen that all the colors I have chosen were too light and it would make a good eye liner/crease shade for the eyes or to mix in the brow color. Below you can see all the shades (but #7) swatched. There is a matching shade for everyone, be it a grey or a red. These can also be mixed to get a more natural brow since our brows are never just one shade. 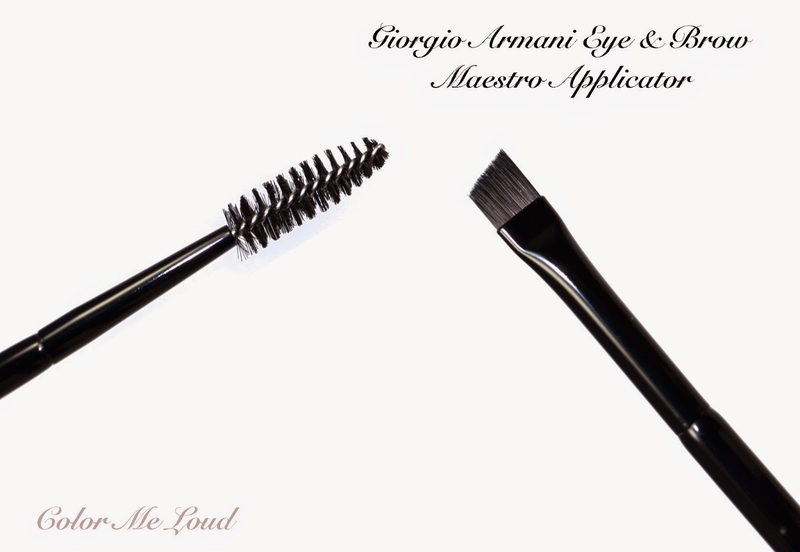 Together with the collection Giorgio Armani also released a double sided brush with a brow applicator on one side and a spoolie on the other. Brow applicator is made of synthetic hair and its thickness works very well with this formula. Spoolie is to comb the eye brows so that the product blends well in the brows and they all get in shape. I find it practical to have both at the same brush so I can alternate the sides to be quick in the mornings. 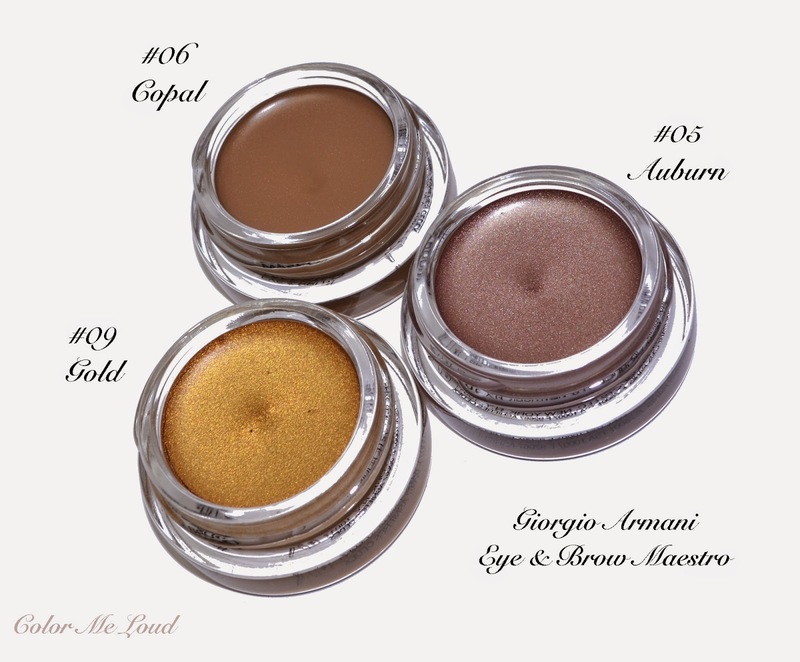 On my first encounter with Giorgio Armani Eye & Brow Maestro, I have applied #5 Auburn on the lid which I then intensified with #9 Gold in the middle. I have also applied #6 Copal on the brows. I wanted to then apply another "eyeliner" which I found to be very difficult. I have observed that this formula applies well and the intensity can be build up but it doesn't combine well with other products, such as another eyeliner. I then decided to get #2, a deeper cool brown to be able to get a full eye makeup using these. Left brow is undone vs. right brow is combed and #6 Copal is applied with Maestro Applicator. You see that on the inner side of brows I have a lot of sparse regions, which look very naturally filled in using #06 Copal. I believe it is exactly the shade which I need for my brows. It doesn't make them too dark, which is a kind of look I don't like. Below I have also applied #2 Wedge Wood on the outer edge and crease and blended slightly with my fingers. I then padded #5 Auburn on the lid. It stayed all day without creasing or moving, it gives "my lids but better" kind of look. I have also used #6 Copal on my cheek bones and nose to contour. To do that I have used Tom Ford's Shade & Illuminate Brush. 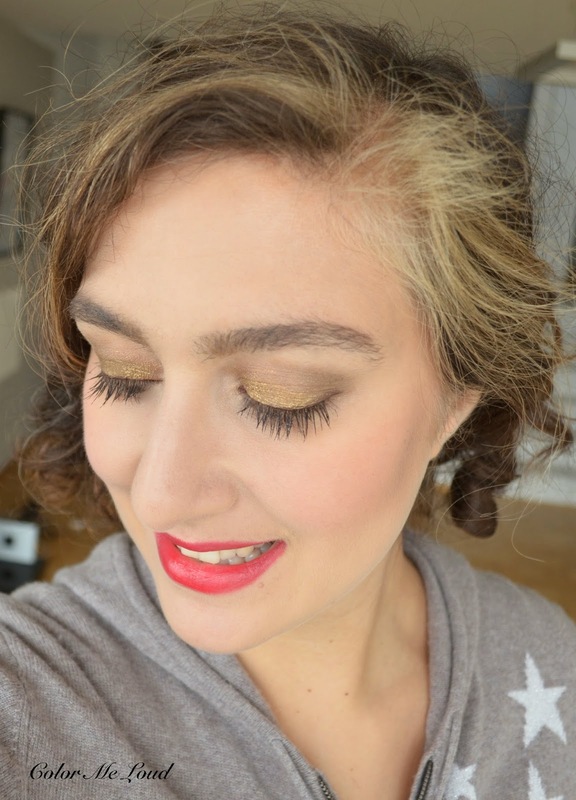 Although it worked well, I am not too much into cream contours, so I went back to Chanel Notorious and Kevyn Aucoin since I find powders easier to blend and control. Below you can see both of the brows are done with #6 Copal and eyes are done as explained above, #2 Wedge Wood at the outer corner, #5 Auburn on the lid. 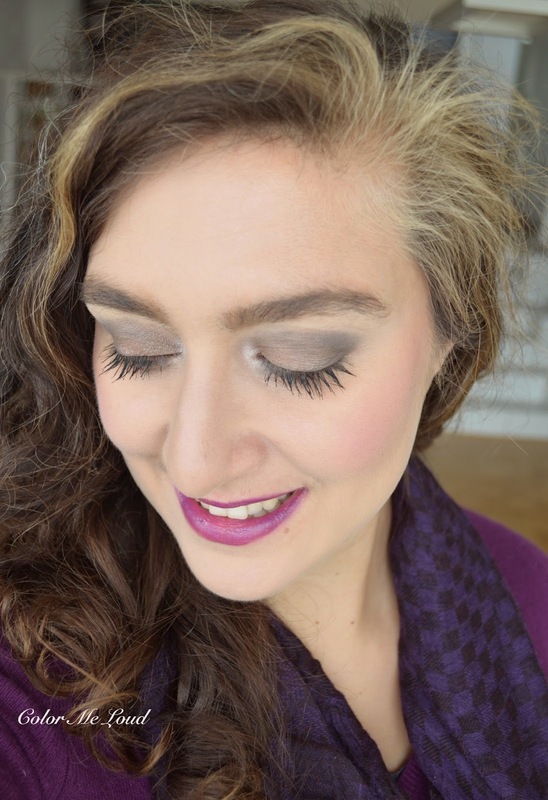 I am wearing MAC Sweet Sentiment on the cheeks (reviewed here) and MAC Pure Heroine on the lips. I think that although brows are full on, they don't look overloaded because of the soft and natural shade of #6 Copal. Copal is surely my pick of the collection if I were to get just one and I recommend it to the ladies who have similar complexion to mine. As for the eyes go... The formula is sheer and buildable but I think I would rather go for Giorgio Armani's Eyes To Kill for more drama and a little bit more shimmer. I appreciate that the formula goes sheer at first for the brow application but it requires some work to build up the opacity on the lids. Final thoughts: I really like the idea behind the product and the execution. There is a shade for everyone from fair to dark, blonde to redhead. The formula sheers out with the application which is great for using on the brows. On the eyes it can be build up and the end result is gorgeous in an understated way but it requires more work to do that. I prefer this formula for brows. If you like cream contours, you may like using it that way too. My pick for those of you close to my complexion is #6 Copal. Applicator works well with this product and it is very practical. What is your favorite brow product at the moment? Have you checked these out? Disclaimer: One of the Eye & Brow Maestros and Applicator were sent to me free of charge for consideration. I have purchased the others. I am not paid for this review, all opinions are honest and my own. Great review! Btw, your eyelashes look amazing, what are you using? Nummer 5 würde deine Augenbraunen passen, ist auch sehr hübsch auf die Auge! if you find Omega easy to use, this one is even easier. I am now testing Burberry brow as well, which I will be writing about soon but I think Armani is right now my preferred brow product. Have you checked them out? And yes, Pure Heroine looks like it is hard to pull off but on lips, it works. I got the Maestro, but due to pressure by the SA at the Armani counter and the poor lighting in the department store, I was persuaded to a color that fights with my skin tone. I am tempted to try again but it means paying twice for one product. On the fence. that is not good and I can relate to that. SA recommended me #2! Can you imagine how dark that would make my brows look? I would go there and try to return that shade since it is their fault. maybe you should try some brow growing serums or a little bit of coloring before you start filling them in? 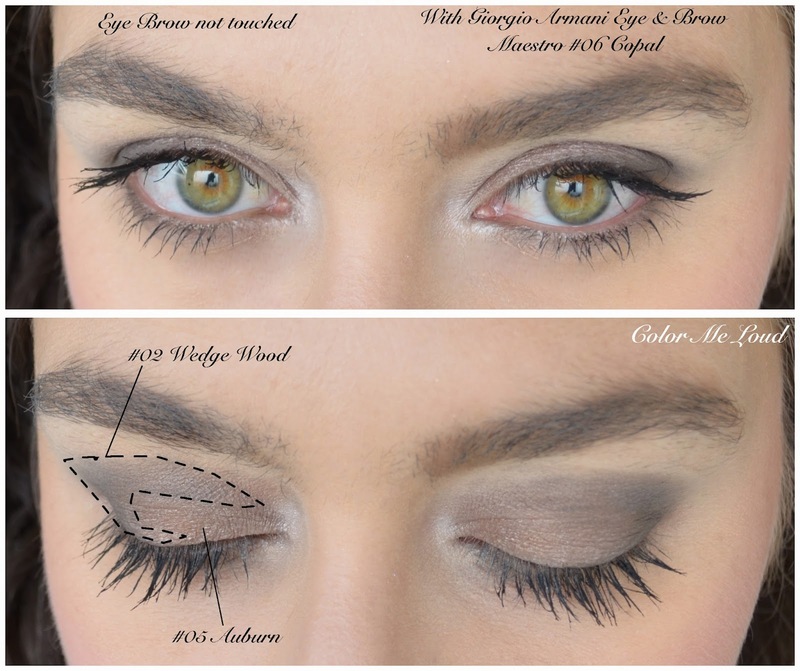 I know that serums do work for eye lashes, there are some which work for brows as well... I used to hate my brows all my teen years (they were double that much, imagine!) but now I somehow appreciate them. It is again, no woman is happy about the way they are, I think we should try harder to embrace our features. thanks for stopping by and your lovely comment. I am glad that this helps you. I am hoping you gals get these very soon in Australia, they are really nice. Those are lovely on you, I tried them out in store after I saw your post, I couldn't decide on a shade and since there was no SA I couldn't buy any. Funny enough 05 looks exactly like the brow powder shade I use but metallic looking when searched. I thought 02 was too purple for my brows and swatched really patchy and dry, the tester is maybe 2 weeks old and hardly used. The other shades had more slip and applied better. 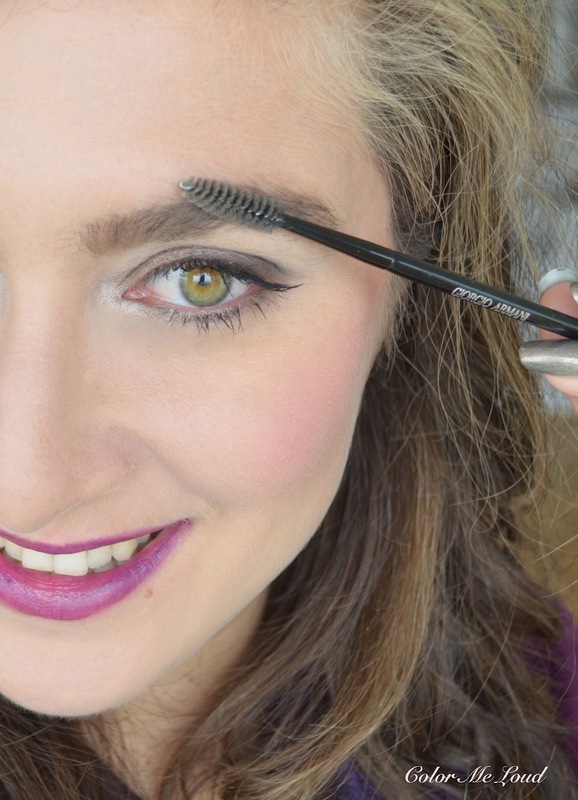 if #5 is close to your brow powder, you should go for it. They appear metallic once swatched but on the brows they look natural. Maybe you can get to apply it at the counter and check it out at home. Since this product is very untypical, it is hard to guess how it looks like before actually trying out. I really like how you used Copal as a contour. It looks more natural because shadows are never "bronze." Did you find it difficult to use it on your brows? Does it just stay on the brow hairs or did it get on the skin too? it is not difficult, actually rather quick to fill in a few sparse areas. It does go on the skin too. Hope that helps.